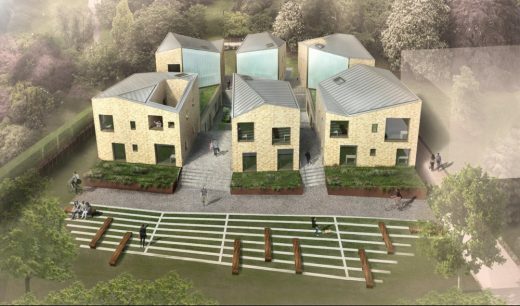 Multi award-winning architects Design Engine have won a new student accommodation project for St Peter’s College, University of Oxford following an invited competition. 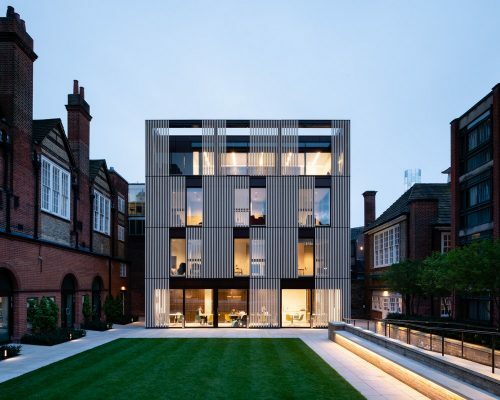 Other shortlisted practices included Allies and Morrison, Berman Guedes Stretton and Gray Baynes + Shew. 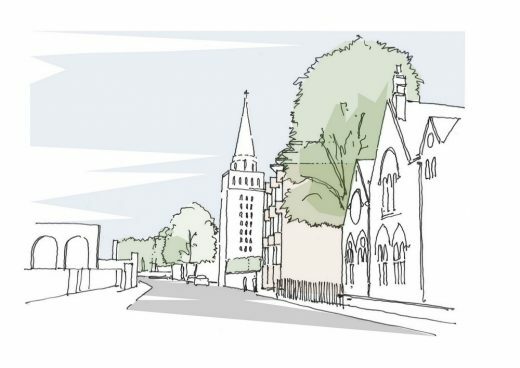 Over the last twelve months St Peter’s College has made strategic property acquisitions to secure the future expansion and growth of the College including the recent freehold acquisition of Castle Hill House on New Road which was formally the Conservative Club. 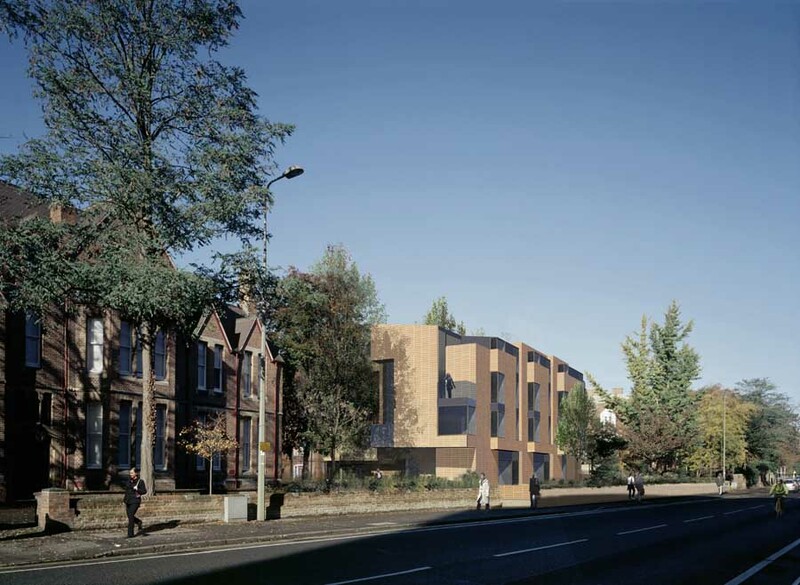 The College is now looking to redevelop the Castle Hill House site to provide student accommodation, in particular for its second year students. 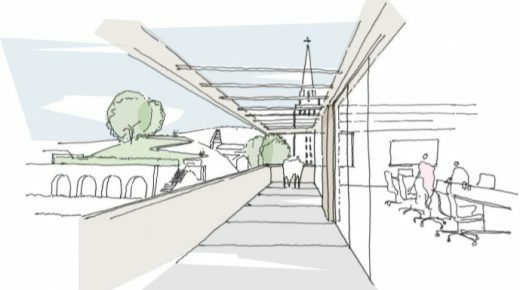 Design Engine’s relationship with St Peter’s College began in 2014 with the competition and subsequent commission for Phase 2 of the Perrodo Project, which was made possible by a donation from the Perrodo family and had the aim to make St Peter’s College a better place to study, teach and live by improving the public spaces on the main College site. 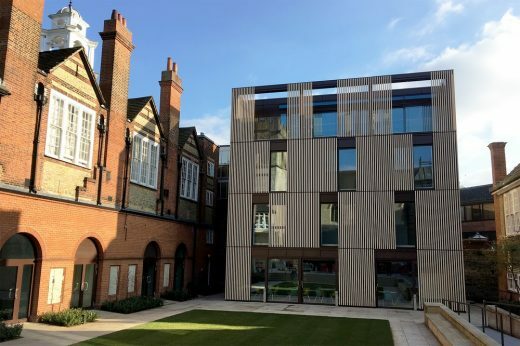 Now completed, the project consists of two remodelled quads, a rejuvenated Chavasse Building and the new Hubert Perrodo Building. Having secured Planning and Listed Building Consent, internal improvements to the listed Hannington Hall are also to begin imminently. 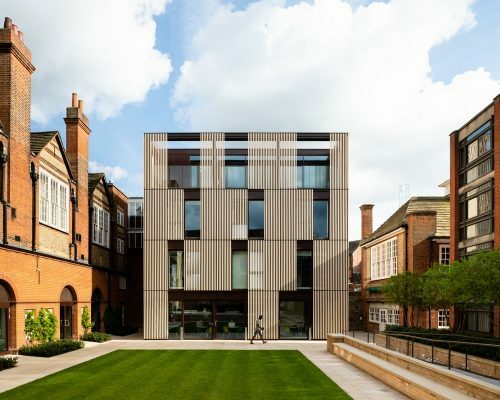 In May 2018, the Hubert Perrodo Building won a Royal Institute of British Architects (RIBA) Award. 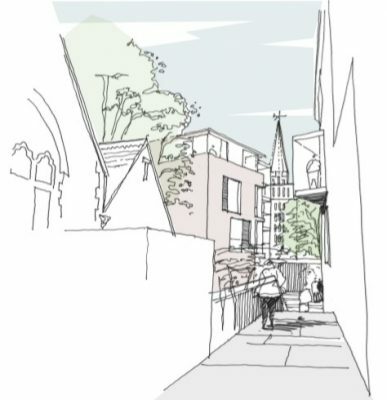 James Graham, Bursar, St Peter’s College, Oxford, commented, “We are very pleased to appoint Design Engine as architects for the Castle Hill House project after the competition for which we had four very good submissions. 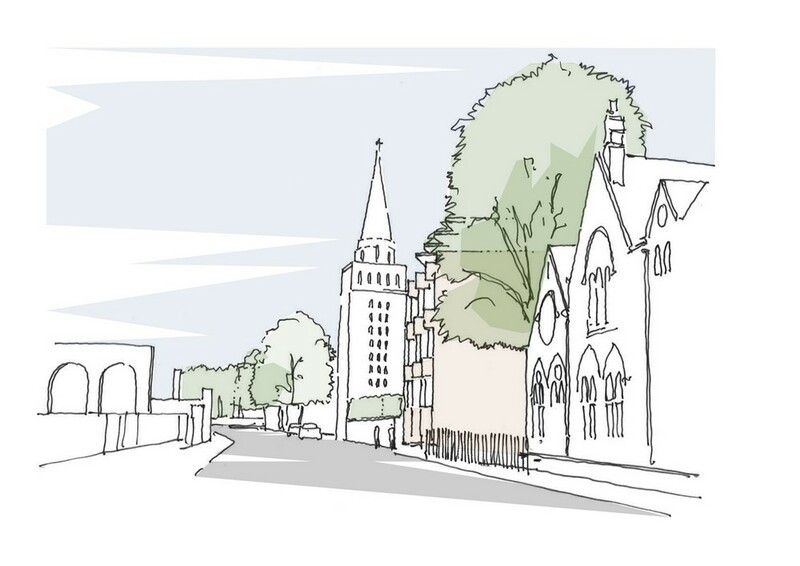 Castle Hill House will improve our provision of student accommodation, and is in an important location for the college and the City, and is a strategically important project for the college”. 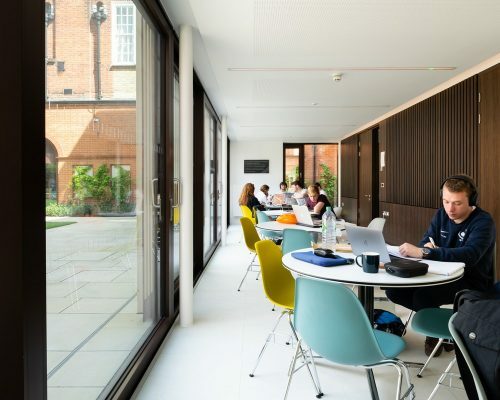 Richard Rose-Casemore, Founding Director, Design Engine, said “We are absolutely delighted to be able to continue our working relationship with the College after the completion of the Hubert Perrodo Building, which is proving such a success with students and staff. Observing the new building and its new quads being used so imaginatively is very rewarding to us as architects. 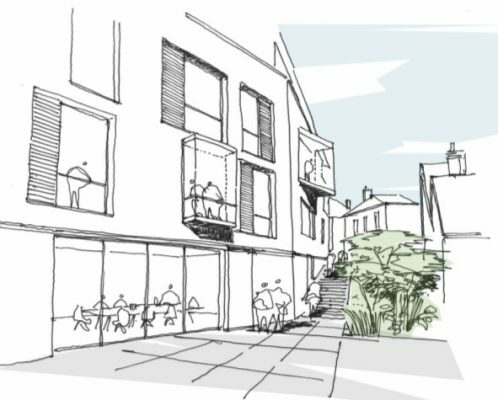 Design Engine are a multi-award winning architecture practice founded in 2000 with studios in Winchester, London and Exeter. 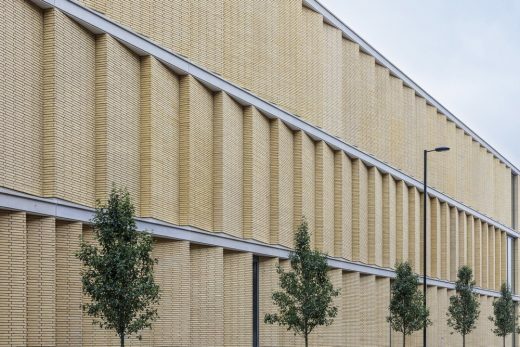 In 2014 Design Engine’s John Henry Brookes Building for Oxford Brookes University won a RIBA National Award and reached the midlist of the Stirling Prize. 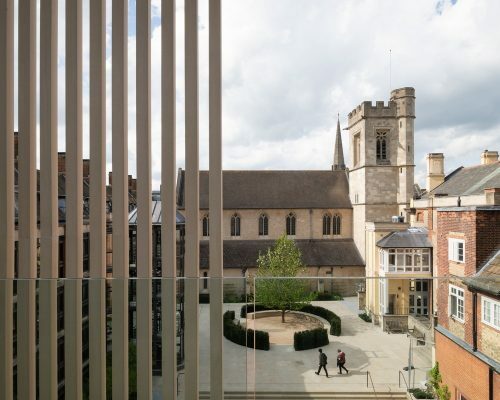 In May 2018 the Hubert Perrodo Building won a 2018 RIBA South Award. 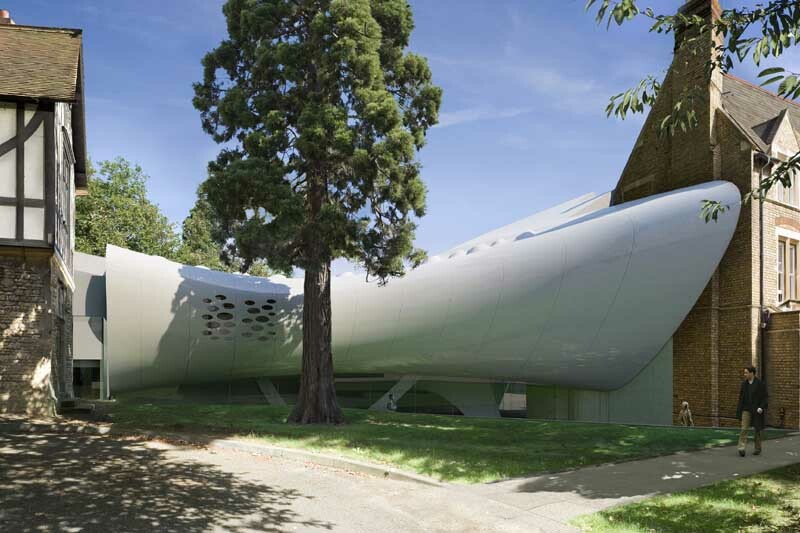 The Hubert Perrodo Building is one of the key projects featured in the new book Building Stories. A collaboration with University of Portsmouth academic Martin Pearce, Building Stories is structured around thematic chapters and tells the story of architecture through the projects of Design Engine. 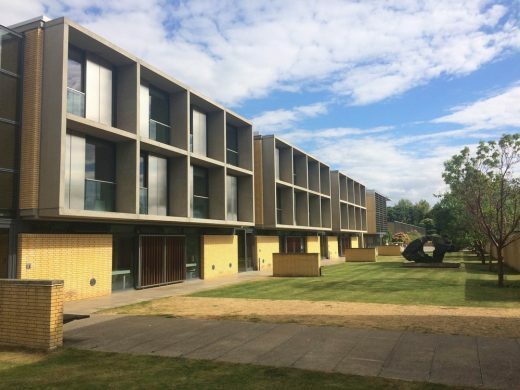 St Peter’s College, Oxford was founded in 1929 expressly to widen access to the University and holds true to the ideals of Oxford, above all the pursuit of academic excellence. It became a full College of Oxford University in 1961 and currently comprises a Master and about 40 Fellows in a wide range of subjects, some 200 graduate and 350 undergraduate students, and about 90 College staff. 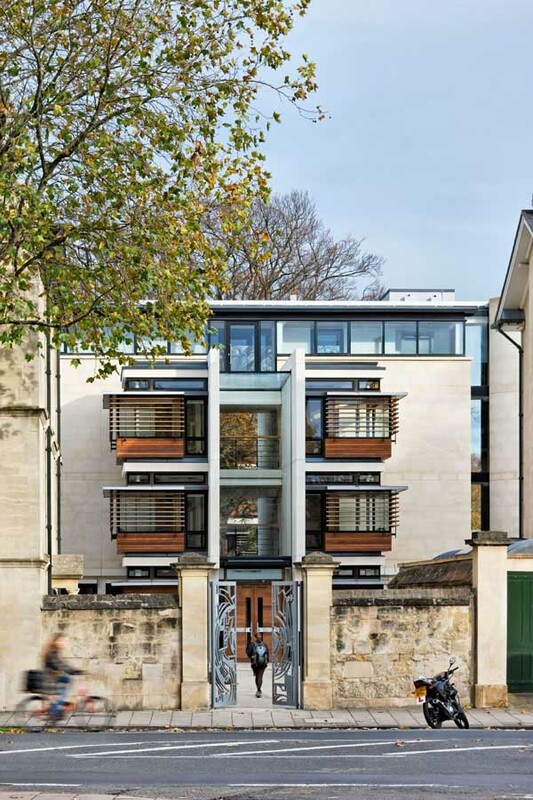 Design Engine: Hubert Perrodo Building, Oxford from Stephenson / Bishop on Vimeo.